The previous installment of In Praxis talked about how surfaces react to light. This post gives an overview of where that light comes from. In this installment of In Praxis I’m going to talk about how we shade opaque surfaces. Beware of extremely technical mumbo-jumbo. This article series concentrates on the technical side of the development. 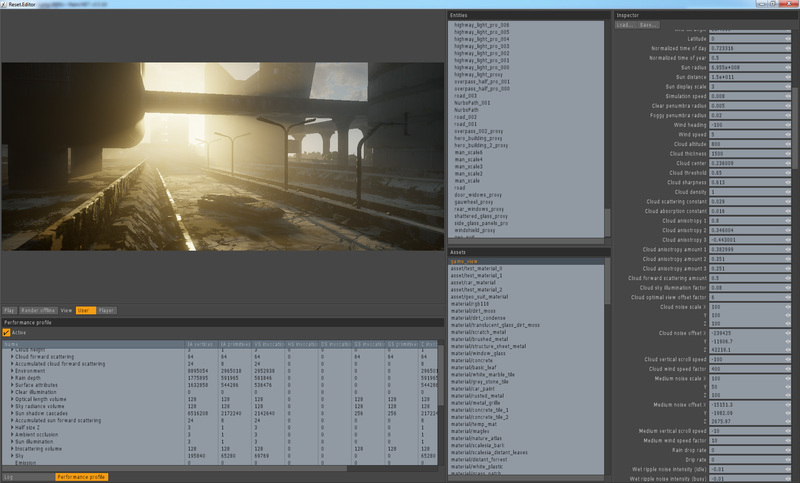 We start it with a look at the 3D content creation tool Blender and how we use it. Settling back to normal work routine tastes good. Our asset importing/handling has gained new features and game design has taken steps forward with thoughts of communication methods between different temporal versions of Zero-Two. Very exciting stuff. We’ve been invited to speak at Digital Storytelling seminar in Oslo, Norway next monday. We are honored to attend alongside Weta Digital and Fido. This short trip adds again a small bump to actual production work, but it’s definitely worth it.